You’ve just found yourself in a car accident—to keep yourself safe, you need to take a proper course of action to avoid any injuries or damages. You’ll need to protect yourself, your finances, and your rights should you need to make a claim. Call 911 or flag down the police, and if there are any other witnesses to the accident, be sure to loop them in, as well, as they can help your case. But first off—here are the necessary steps you need to take following a car accident. If it’s a minor accident, and you’re in OK shape to move, relocate your vehicle to a safe place that’s out of traffic. This will ensure others are protected from subsequent damage. You can then turn off your vehicle, turn on hazard lights, and be sure that everyone in the car, and the position of the car itself, is in the clear. After checking to make sure that all persons in the vehicle are safe, as well as those in the car that collided with yours. If there’s an injury, call an ambulance to assist, as a hospital visit could be necessary, and you won’t want to stall. If there isn’t an injury, go ahead and call a police officer to file a report. Take note: even if the accident isn’t serious, and no one is injured, you need a report to help you should there be a claim process to follow. If there are any witnesses present, ask them to provide details in the report as to what happened. Be sure to get their contact information, should there be more follow up. They can be invaluable in providing support for your claim. 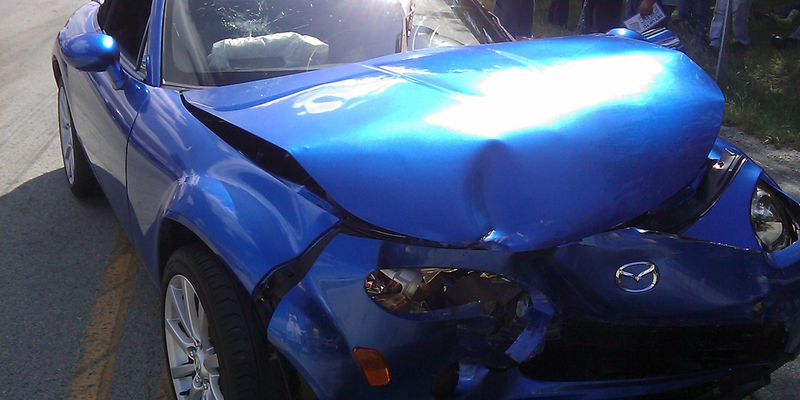 Take photos of the accident, the vehicles, and any damage that occurred. Take photos of the license plate of the other car, and jot down a description of the car—such as the make, model, and year. You’ll need all drivers’ and passengers’ information, as well as insurance and policy numbers. Then, take a photo of the exact location of the exact, too, taking note of street sign and landmarks. And, ask the police officer present for name and badge number. Avoid signing any documents, unless it’s by request of the police or for personal insurance purposes. No matter how big or small the injury (even if you don’t feel any pain in the moment), you need to seek treatment following a car accident. Even if you feel fine, there will almost always be some sort of structural change at the spinal and muscle level that needs to be addressed, given the amount of force and physics behind even a minor car accident. There is no downside, as treatment is covered by auto insurance or is done on a lien, if working with a law firm (a lien is where a doctor is paid out of settlement with the auto insurance company, and there is no up-front cost). Plus, often following auto accidents, headaches, neck and back pain can come up in the future. Pain-free does not mean there was no injury—it could just be delayed.